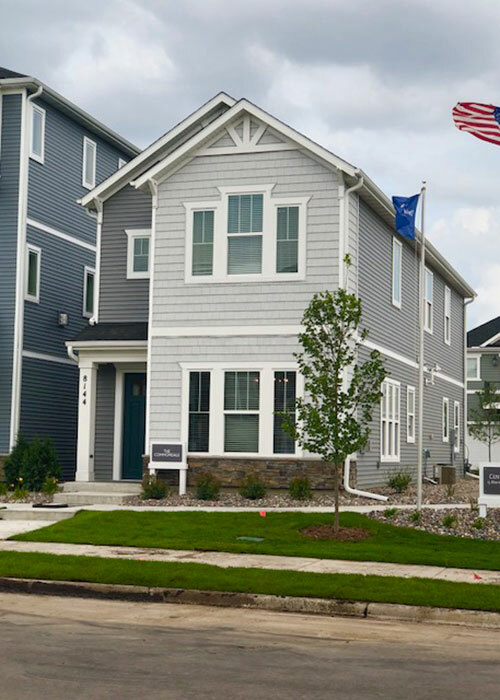 To meet the needs of these homebuyers, Central Living by David Weekley Homes, the high-density division of the company offering homes in prime locations, is building low-maintenance homes in the northwest Minneapolis community of Donegal South. Since opening for sales in February 2018, the builder has sold 28 homes and plans to expand its offerings with the development of phase 2 next summer, bringing the total number of homes to 133. Priced from the low $320s, Donegal South features detached two- and three-story homes with David Weekley’s signature open-concept floor plans and modern, gourmet kitchens with large islands. Some homes offer an elevator option. According to an article from National Association of REALTORS®, there is a surge in popularity of pedestrian-friendly communities as they offer many benefits, including healthier environment, happier lifestyle, sense of community and better overall health. The poll included 3,000 Americans in the nation’s 50 largest metro areas, with 62 percent of millennials opting for this type of walkable community, as well as 55 percent of those born before 1944. In particular, buyers are interested in easy access to public transportation, schools, stores and entertainment, with many in the older demographic siting concerns about driving as a reason to choose these communities. Donegal South is in walking distance to downtown Maple Grove, which offers shopping and dining at The Shoppes at Arbor Lakes and Main Street as well as the nearby Maple Grove Community Center. In addition, there are many family activities at Town Green in Central Park and access to 36 miles of parks and trails. The Commondale model home, which is located at 8144 Central Park Way in Maple Grove, was recently recognized with a Reggie Award SM from the Builders Association of Twin Cities-Housing First Minnesota. For more information about Central Living by David Weekley Homes in Donegal South, call 763-251-0339 or visit DavidWeekleyHomes.com. The two-story Commondale model home in the walkable community of Donegal South.